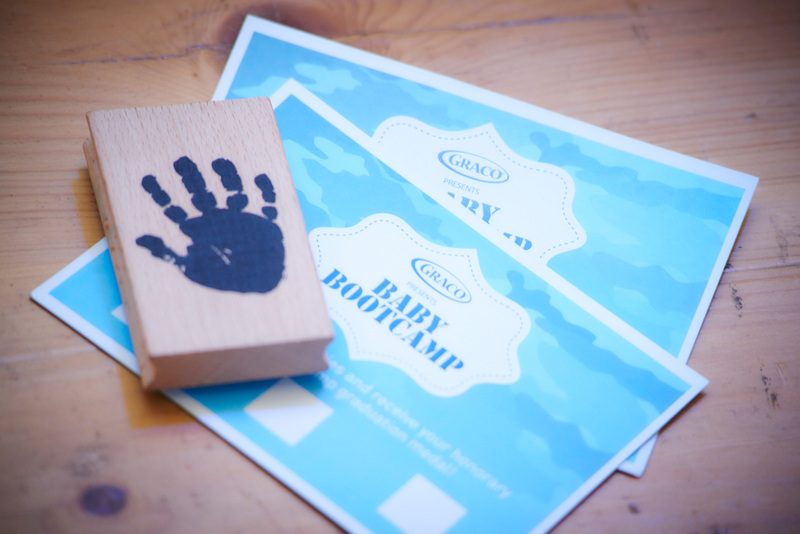 We attended the Graco Baby Bootcamp event last week in Central London. It was just me and Tommy, which was really lovely – navigating public transport is much easier when you have just one child with you! 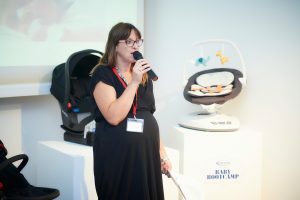 We were there to discover some top tips from parenting experts, and to find out more about some Graco products. 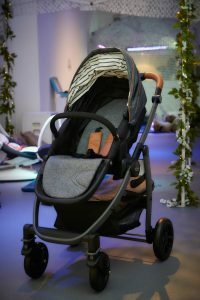 The SnugRide i-Size infant car seat is the newest addition to Graco’s ever expanding range of award-winning car seats, keeping little ones comfortable when out and about in the car. 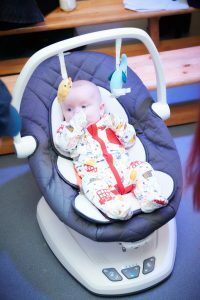 The SnugRide i-Size car seat is compliant with the new i-Size regulation and hasbeen designed to help protect rear-facing infants from birth to approximately 18 months (13kg). 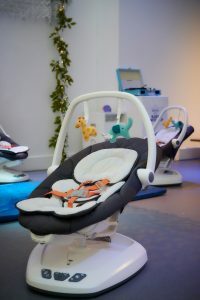 It boasts a seven position adjustable base that grows with your child to provide more leg room and to ensure a comfortable ride. The 5-point, front-adjust harness also makes getting baby in and out of the car seat a breeze while the removable newborn body support and memory foam side inserts offer both cushioning and support for baby’s ride. I’ve actually reviewed this carseat in a previous post. Check it out. The Evo is designed for optimal versatility and comfort. 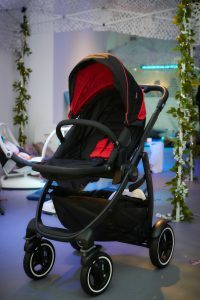 It has a full reversible seat so it can be parent facing, or forward facing (which helps make this pushchair suitable from newborn to toddler). It’s available in lots of different colours including Navy & Sand, Grey Yellow, Black Grey, Bitter Chocolate, Fiery Red, Shaded Spruce and Harbor blue. You can simply click the SnugRide in the chassis too, which is great if you’re on the go. I’ve reviewed this one too – check it out! How cool does this one look? The cool stripes on the Breton Stripe version of the pushchair is just too cool for school! It’s the little touches like the leatherette handle and huge basket that make this one a must-try. Furthermore, the Evo Avant has a convenient one-hand fold and lockable swivel wheels. The bundle includes an easy to remove washable footmuff, seat liner and raincover. Made with durable fabrics and finishes, the Graco EVO XT can withstand the elements and with an extendable canopy, your little one will stay protected whatever the weather. The EVO XT features a seat that can be both forward and rearward facing. 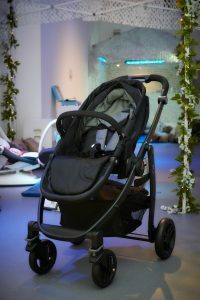 It is also compatible with the Graco SnugRide and SnugRide i-Size car seats and an upgraded carrycot that attaches directly onto the frame. To ensure comfort for you and your precious little one, Graco have incorporated an adjustable calf support and a telescopic handle, so you can customise the stroller to fit your needs. 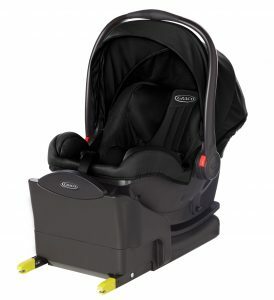 It includes lockable and removable front wheels and multi-position recline for optimum agility and comfort. Front and rear mudguards provide protection from dirt and spray, and a convenient one-hand fold makes this an ideal choice for busy parents. The lovely (and very pregnant!) 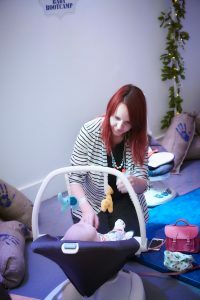 Sarah Renshaw from BabyCentre was on hand to give us all some tips when you have a new baby. I found a lot of these very useful (and reassuring) even though I’ve “done this all before”. Even if you’ve already had a baby, it feels so very different when you have baby 2. * You won’t eat a hot meal for a while – feeding, winding, playing and sleeping will pretty much take up all of your time! * Newborns love looking at your face and mimicking your expressions. Try sticking your tongue out to see if baby copies! * All babies reach milestones at different times, whether it’s responding to sounds, lifting their head, staring at faces, following objects, smiling and more! You will always meet mums who’s baby did everything better and faster than you. Don’t be fazed by this! Also, if your baby was premature, remember to use adjusted age guidelines. If you are really worried, speak to your health visitor. * Baby will sleep for 16-17 hours a day in the first week, and will feed between 8 and 15 times a day. After the first week or two, this will decrease to 6-8 times a day. Breastfed babies may feed more often. On day one, your baby’s stomach is the size of a hazelnut. By 14 days it’s the size of an egg! * Get prepared. Before baby arrives, set up an online shopping account. Netflix and Amazon Prime are also good subscriptions for new parents! Most of these subscriptions have free trial periods. Be sure to write down your login and password somewhere! * Contact baby groups near you to check if there is a wait list. Arrange to see friend and visit your local baby centre. Maternity leave can get lonely! * If you think you are going to go back to work – research nurseries /childminders early – some have a six month + waiting list. Before we left, we had some great fun in the Simple Booth selfie booth! I don’t think Tommy has quite got the hang of this photo taking lark just yet… but to be honest it’s just nice to have a photo where i’m looking half decent (I’d had a shower that morning and everything!!) and holding just the one kid! Haha. I love our snugride, it is the best baby seat we’ve ever had actually. Can’t wait to try out the featherweight! I went to this event and it truly was great! We had so much fun and I just found I learnt so much. I am in love with the evo avant! It’s so pretty!